Porsche Boxster 2005-2011. Porsche Boxster S 2005-2011. The Glove Box is covered by Leather. Porsche Cayman 2007-2012. Porsche Cayman S 2006-2012. Porsche 911 2005-2012. Fits the following models:986 & 996. Porsche Boxster 1997-2004. Porsche Boxster S 2000-2004. Porsche 911 1999-2005 (fits all 911 models). Removed from a 2009 Porsche Cayman. Item is an OEM part and may have visible wear from normal use. We are committed to resolving any issues that arise but we first need to be made aware of the situation. Glovebox Dash Compartment Assembly Black 99755220407a11 911 Boxster Cayman 987 2006-12 . Removed from a 2006 Porsche Cayman. Item is an OEM part and may have visible wear from normal use. We are committed to resolving any issues that arise but we first need to be made aware of the situation. 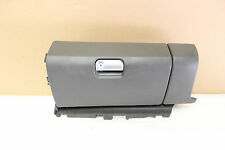 Glove Box Dash Compartment 99755220407a11 Porsche 911 997 2008-13 Boxster Cayman . _gsrx_vers_631 (GS 6.9.8b6 (631)). Location: prowler. Fits: 1997 Porsche Boxster. Verify Part Number Before Ordering. 4 Month Warranty. Porsche 997 C2 Glove Box Black 911 05-08 987 Carrera Cayman Boxster OEM This item is used with normal wear & tear. Click to view picture & details. Confirm fitment with your dealer or mechanic. Removed from a 2003 Porsche 996 targa with 6 speed trans. Vechicle only had 73100 miles when parted. Item was removed from running vehicle. 2008 Porsche 987 Boxster-Cayman Glove Box Assembly. From 2008 Cayman ( car is pictured ) with 71K miles. Beige w/ Leather. may fit other years- Check Part #. Dash Glove Box Compartment Assembly Black 99155220415a11 Oem Porsche Boxster Cayman 718 2017-18 . Here is a very nice clean used original genuine Porsche black glove box assembly 997.552.204.04 as used on 2005-11 987 Boxster, 2006-12 Cayman and 2005-12 911/997 Carrera/Turbo/GT2/GT3 models. Wir sprechen Porsche! Fits the following models:986 & 996. Porsche 911 1999-2005 (fits all 911 models). Porsche Boxster 1997-2004. Porsche Boxster S 2000-2004. 2015 Porsche Boxster S 981 Convertible PDK Automatic RWD(Rear Wheel Drive) 3.4 VIN#WP0CB2A89FK130735. Black Vinyl Glove Box ( Build Up / Marks ) Part# 991.552.204.10 pictured-removed from a. We take multiple pictures in an attempt to clearly portray the general color and condition of the item. Removed from an 09 Porsche Cayman. Item is an OEM part and may have visible wear from normal use. We are committed to resolving any issues that arise but we first need to be made aware of the situation. Removed from 2007 Porsche Cayman S 987. 2007 Porsche Boxster Base, S 2.7L H6 - Gas, 3.4L H6 - Gas. 2006 Porsche Boxster Base, S 2.7L H6 - Gas, 3.2L H6 - Gas. 2005 Porsche Boxster Base, S 2.7L H6 - Gas, 3.2L H6 - Gas. Porsche 911 2005-2012 (fits all 911 models). Porsche Boxster 2005-2011. Porsche Boxster S 2005-2011. Porsche Cayman 2007-2012. Porsche Cayman S 2006-2012. Porsche Boxster 2005-2011. Porsche Boxster S 2005-2011. The Glove Box is Black Color. Porsche 911 2005-2012 (fits all 911 models). Porsche Cayman 2007-2012. Porsche Cayman S 2006-2012. Porsche Boxster 2005-2011. Porsche Boxster S 2005-2011. The Glove Box is Stone Grey. Porsche Cayman 2007-2012. Porsche Cayman S 2006-2012. Porsche 911 2005-2012. This part was removed from a 2008 Porsche Cayman S 987 3.4L with 72k miles. Porsche Boxster 2007 Base, S 2.7L H6 - Gas, 3.4L H6 - Gas. Porsche Boxster 2006 Base, S 2.7L H6 - Gas, 3.2L H6 - Gas. Porsche Boxster 2005 Base, S 2.7L H6 - Gas, 3.2L H6 - Gas. Check before buying! GLOVE BOX IN GREAT SHAPE. We take multiple pictures in an attempt to clearly portray the general color and condition of the item. Color can be affected by many factors including year(age), make, model, fading, manufacturer lot, picture angle and lighting and more. Fits the following models:987 and 997. Porsche 911 Carrera 2005-2009. Porsche Boxster 2005-2009. Porsche Boxster S 2005-2009. Porsche Cayman 2006-2009. Porsche Cayman S 2006-2009. The Glove Box is in good working condition. Removed from an 04 P orsche Boxster. Item is an OEM part and may have visible wear from normal use. We are committed to resolving any issues that arise but we first need to be made aware of the situation. Black Alcantara Glove Box Cover. Refinished in Black Alcantara with Custom Grey Stitching! Will fit all Porsche 996 - 996 Turbo GT 2 GT 3 RS. ( 1 ) CUSTOM PORSCHE 996 GT 3 RS TURBO S GT 2 GT 2. Fits the following models:986 & 996. It is in Black Color and it is Leather. Porsche 911 1999-2005 (fits all 911 models). Porsche Boxster 1997-2004. Porsche Boxster S 2000-2004. As removed from a 2008 Cayman S with 8,943mi. Color is factory Steingrau (Stone Gray). 2013 Porsche Boxster 981 Convertible Manual 6 Speed RWD(Rear Wheel Drive) 2.7 VIN#WP0CA2A87DS113948. Interior Glove Box Trim ( Marks / Build Up / Scratches / Wear / Residue ) Part# 991.552.204.07 991.552.204.08 pictured-removed from a. Remove from 2006 Porsche Cayman S 987 with 37k Miles. Porsche Boxster 2007 Base, S 2.7L H6 - Gas, 3.4L H6 - Gas. Porsche Boxster 2006 Base, S 2.7L H6 - Gas, 3.2L H6 - Gas. Porsche Boxster 2005 Base, S 2.7L H6 - Gas, 3.2L H6 - Gas. 2013 Porsche Boxster 981 Convertible Manual 6 Speed RWD(Rear Wheel Drive) 2.7 VIN#WP0CA2A85DS112684. Interior Glove Box Trim ( Marks / Build Up / Scratches / Residue ) Part# 991.552.204.05 991.552.204.06 pictured-removed from a.